Rugari, 24, who has been linked to a possible move to Maurizio Sarri's Chelsea, broke a rib during a league game against Frosinone a week ago. MILAN: Juventus defender Daniele Rugani has a broken rib while midfielder Sami Khedira aggravated a thigh injury during the team's Champions League win over Young Boys, the Italian champions said on Wednesday. Juventus beat the Swiss champions 3-0 to move top of Group C after two games -- ahead of Manchester United -- and extend their winning run this season to nine games in all competitions. "Daniele Rugani and Sami Khedira did not take part in the (training) session," the club said on Wednesday. 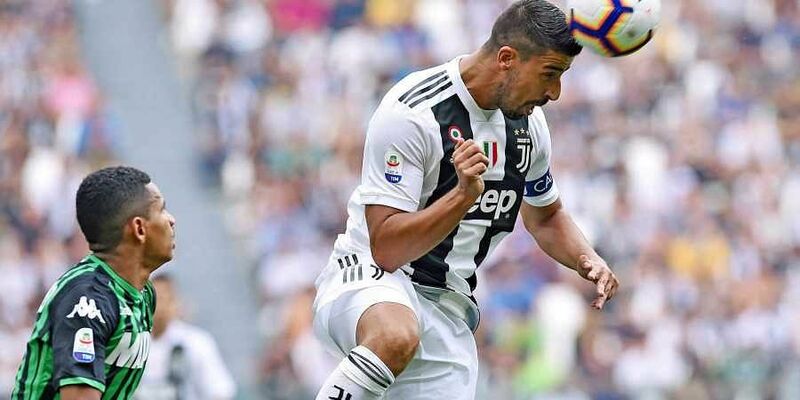 The Italy international will not be available for Juventus's next match against Udinese on Saturday where they bid for an eighth league win on the trot. Germany international Khedira, 31, came on for the last 20 minutes against Young Boys to help him back to fitness after injury. "(Khedira) felt another discomfort in the left thigh flexor that will be evaluated between today and tomorrow," the club added.